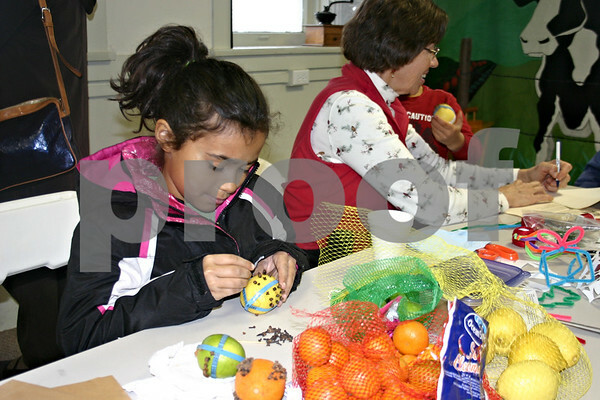 Demia Eaton, 8, of DeKalb, makes a pomander Sunday at the Glidden Homestead's holiday open house in DeKalb. Eaton stuck cloves in a lemon and rolled it in a mixure of ground spices to make a fragrant ornament. The open house celebrated the 150th year of the Glidden home.